Prof. Hoffman has been a speaker at this annual event from 2007-2009 and 2014. She has given an interactive presentation on "Physics at Low Temperatures", with demonstrations including thermal contraction (shrinking balloons in liquid nitrogen) and brittleness of materials (smashing pennies after cooling with liquid nitrogen). Prof. Hoffman taught 2 lectures to graduate students and postdocs. Provides a summer research experience for high school students. Prof. Hoffman served as a research mentor in 2005, 2010, and 2011. Prof. Hoffman was named an "Outstanding referee"
Cryogenics classes at Einstein's Workshop in March 2013 and January 2014. 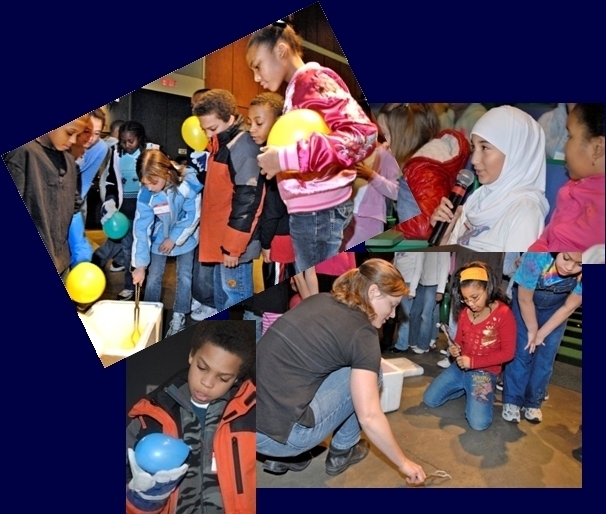 Prof. Hoffman taught cryogenics classes (with demonstrations) to several dozen elementary school children each. 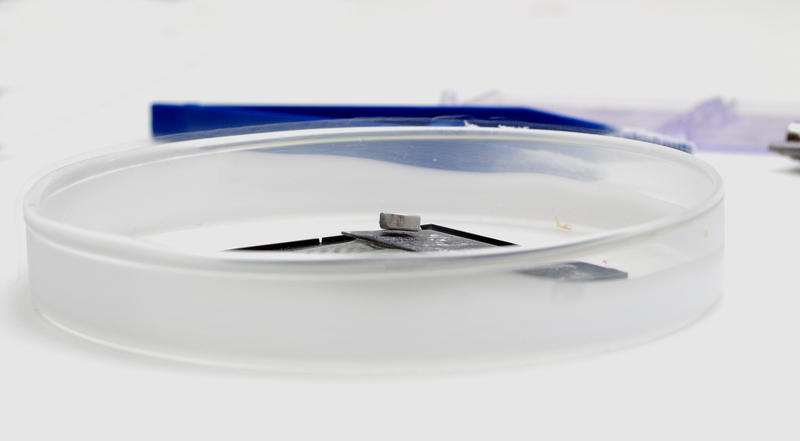 Magnet levitating above superconducting YBa2Ca3O7 at a temperature of 77 Kelvin.